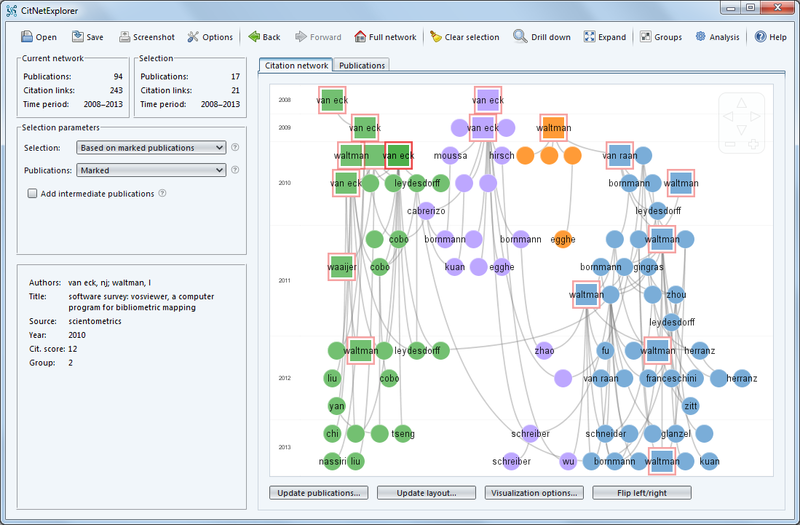 CitNetExplorer is a software tool for visualizing and analyzing citation networks of scientific publications. 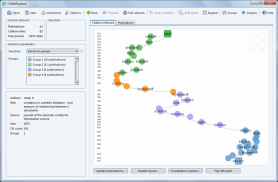 The tool allows citation networks to be imported directly from the Web of Science database. Citation networks can be explored interactively, for instance by drilling down into a network and by identifying clusters of closely related publications. Analyzing the development of a research field over time. 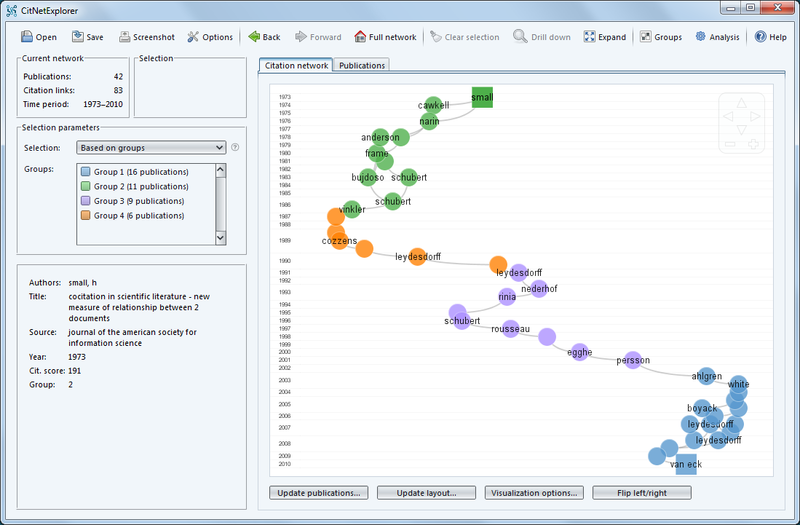 CitNetExplorer visualizes the most important publications in a field and shows the citation relations between these publications to indicate how publications build on each other. Identifying the literature on a research topic. 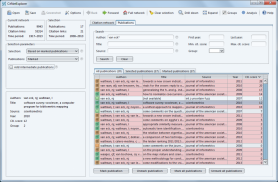 CitNetExplorer delineates the literature on a research topic by identifying publications that are closely connected to each other in terms of citation relations. Exploring the publication oeuvre of a researcher. 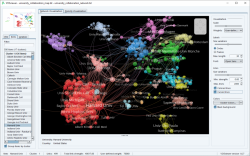 CitNetExplorer visualizes the citation network of the publications of a researcher and shows how the work of a researcher has influenced the publications of other researchers. Supporting literature reviewing. 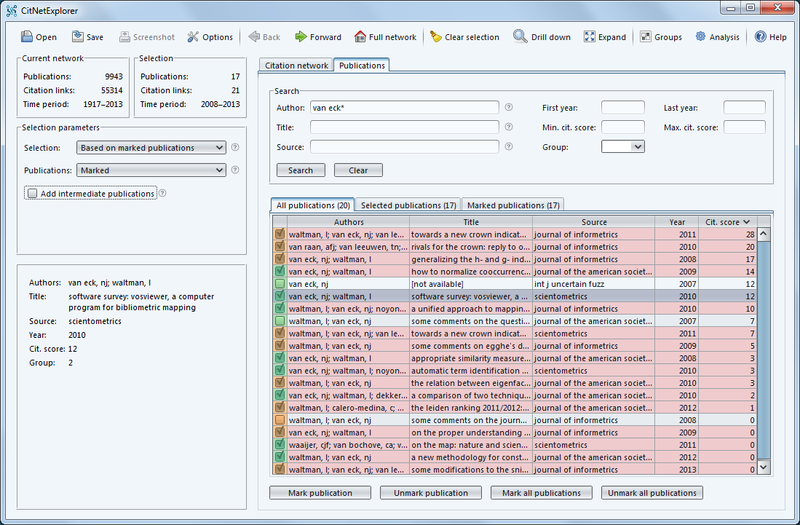 CitNetExplorer facilitates systematic literature reviewing by identifying publications cited by or citing to one or more selected publications. 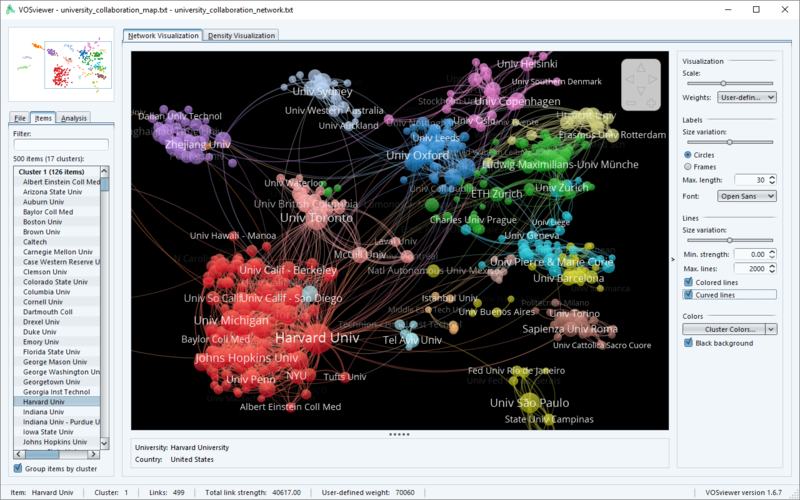 VOSviewer is a software tool for constructing and visualizing bibliometric networks. Networks can be constructed based on citation relations. Examples of such networks are bibliographic coupling and co-citation networks of journals, researchers, and individual publications. 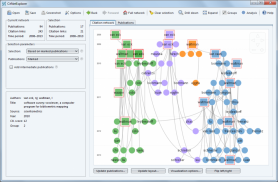 VOSviewer also offers text mining functionality that can be used to construct and visualize co-occurrence networks of important terms extracted from a body of scientific literature.